For a night of fun and games! We all need something to keep the pups busy when the snow flies. Interactive toys and games are a great cabin fever diversion. 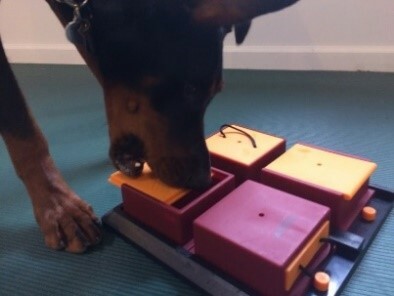 Ever want to try those dog puzzles before your dog or do you need new ideas for fun and games? Well, now’s your chance! Get ideas and advice at Game Night with plenty of dog games for you to see. Demo dogs will be here to show you how each toy works, please leave your pooch home. Puzzles and games will be available for purchase at the class and receive a FREE bag of training treats from Leash on Life with purchase at the class! Yep, it’s heading into winter and we all need to have our cold weather gear ready to go. We carry a wide variety of doggie coats and sweaters. How about a stylish puffy vest? 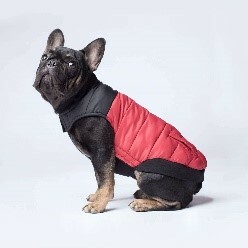 New this year is Canada Pooch, the stretch belly panel keeps the cold out and makes for a perfect fit. They are easy to put on, washable and oh so stylish. Want something a bit more light hearted? 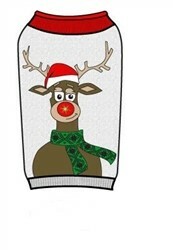 How about one of our motion activated light up holiday sweaters. Perfect for the “life of the party”. Don’t forget about their tender feet. Salt on the sidewalk, snow balls stuck in paws and just the bitter cold can all be painful. New, are Wellie boots, they are waterproof, flexible, easy on and stay on. Come in, take a look and see what you think will work best for your dog. 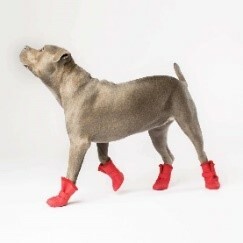 If you are not bringing your dog in for a “fitting” please take a few measurements. For coats measure around the neck, chest behind the front legs and length along the back from collar to base of tail. For boots simply ask your dog to stand on a piece of paper and make a paw tracing. Yep, Yeowww® catnip toys are here. 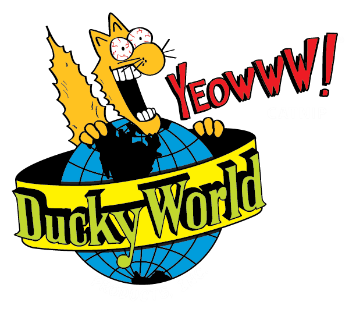 If your cat has never experienced Yeowww catnip, don’t make them wait any longer. How can you beat organically grown U.S.A. catnip? One note of caution…once your cat has a Yeowww® toy they will be howling for more. We have lots of great cat toys for the new kitten or older cats. As a matter of fact we have so many cat toys it will be hard to decide which ones will please your feline the most. Adoptable Cat of the Month, Siri…. Siri is a cute 3-6 year old cat. Siri is available through the Iowa City Adoption Center. 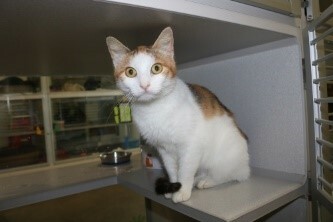 Call (319) 356-5295 or visit www.icanimalcenter.org to learn more about all the animals at the Center.